Enjoy everyday elegance with the unrivaled beauty of the Michele® Deco II Mid Blush Diamond Dial Watch. Two-hand analog display with swiss movement. Blush sunray dial face features baton and Roman numeral indexes with brand logo. 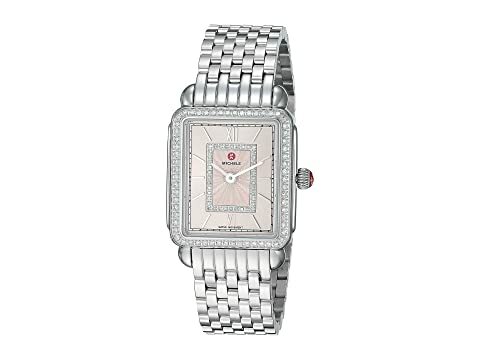 Dial and bezel feature 102 genuine diamonds totaling 0.45 ct.
We can't currently find any similar items for the Deco II Mid Blush Diamond Dial Watch by Michele. Sorry!